Rear window assembly attaches with our new quick strap design! Fits snug and tight! 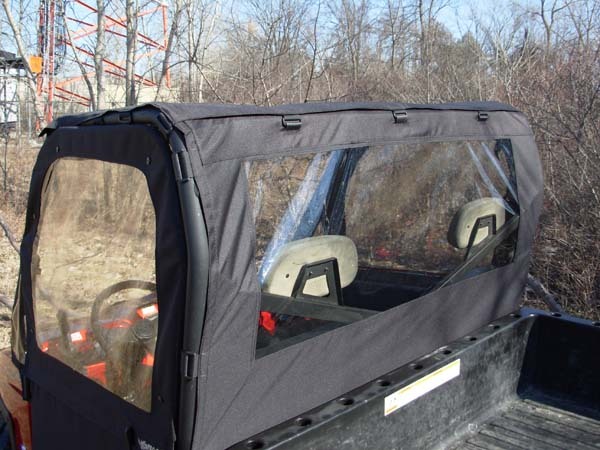 Heavy Duty water proof fabric with strong 20 gage tinted soft plastic window. 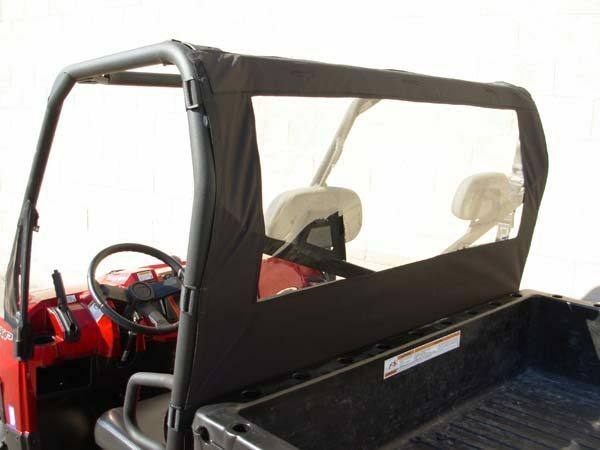 Combined with our soft top and doors to create a full cab kit or can be used as a stand alone item to keep out the dust and cold wet weather!